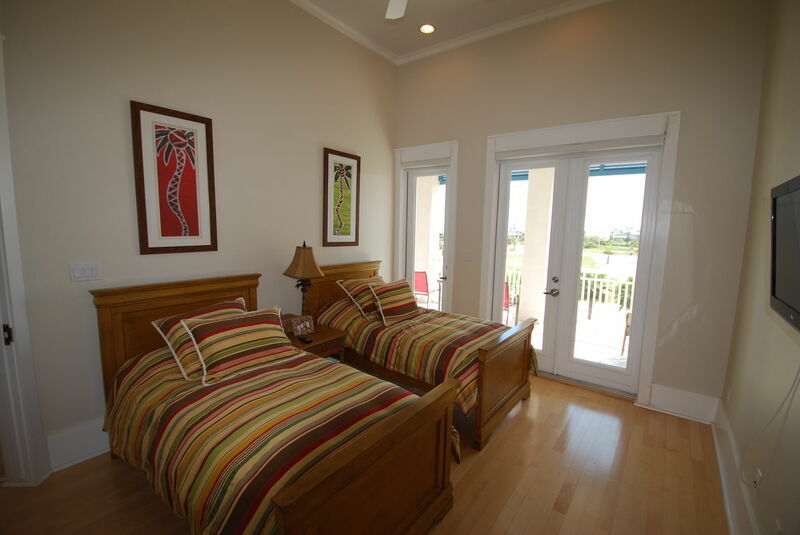 Our amazing Villa "The Kokopelli" was designed by Landry Architects from New Orleans, constructed in 2009. 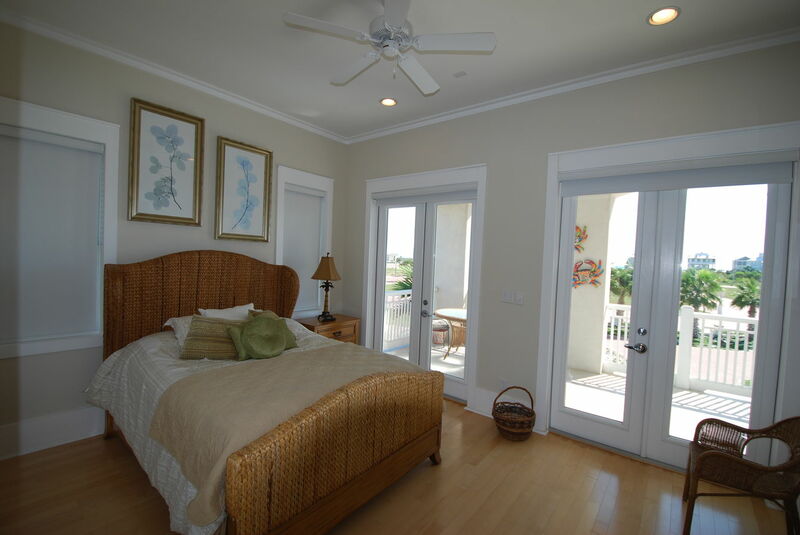 The Villa is professionally decorated with casual elegant bahama styles to bright and fun Caribbean styles. 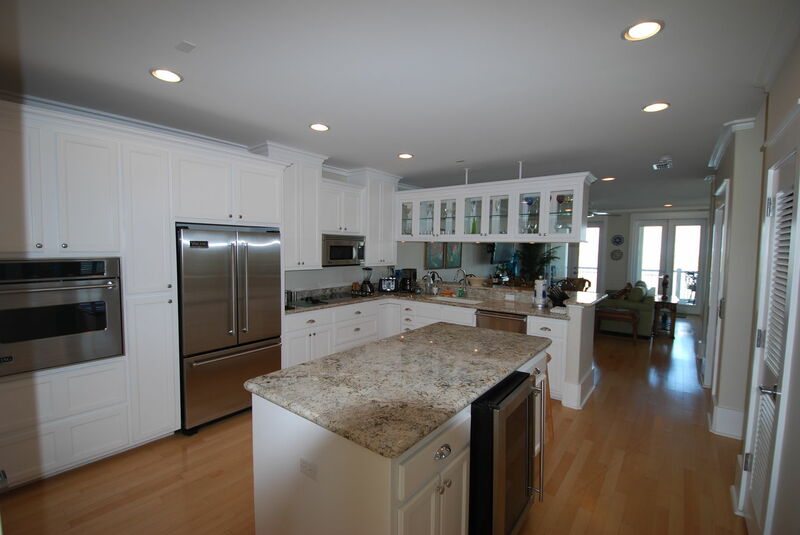 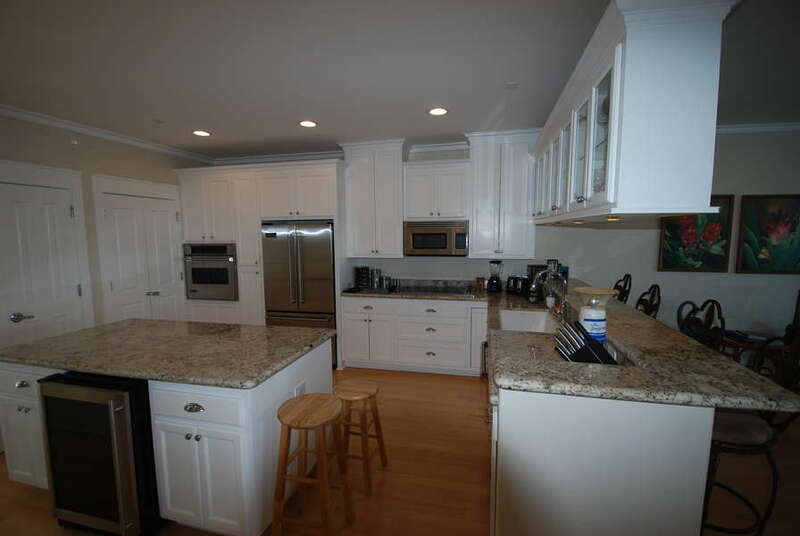 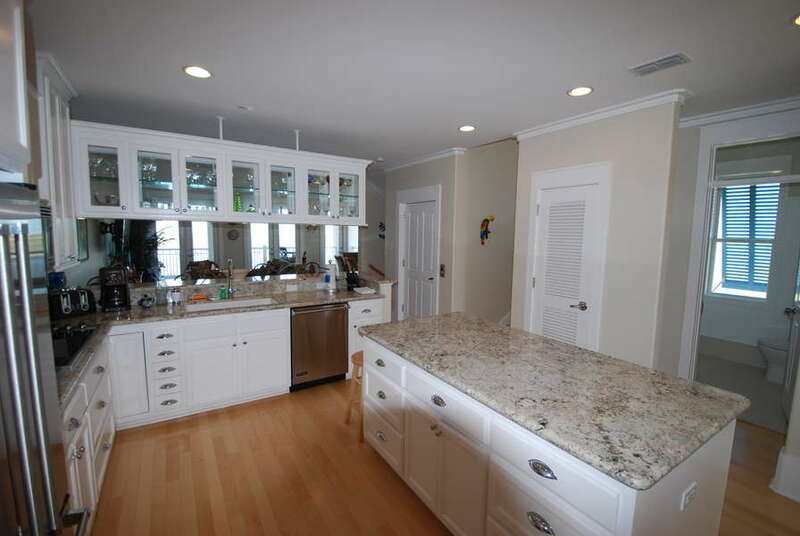 Spacious kitchen with Viking appliances and a separate island for food preparation are a chef's dream. 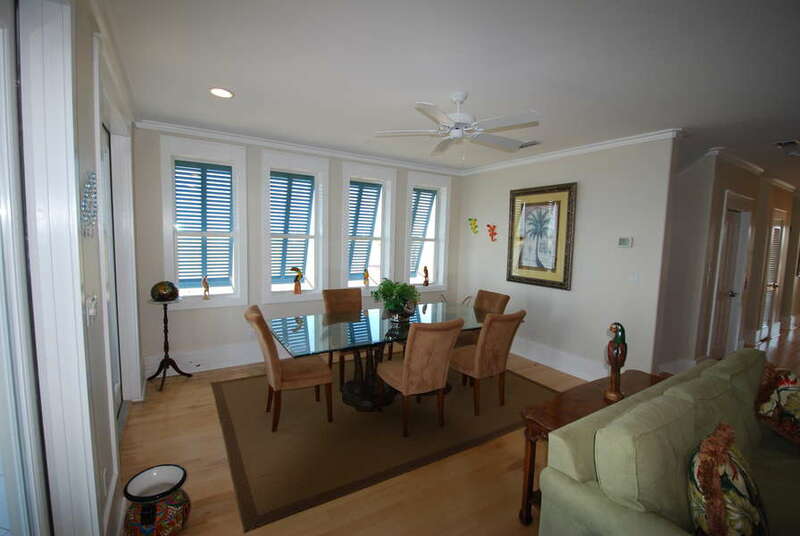 The dining and living areas are designed for entertaining. 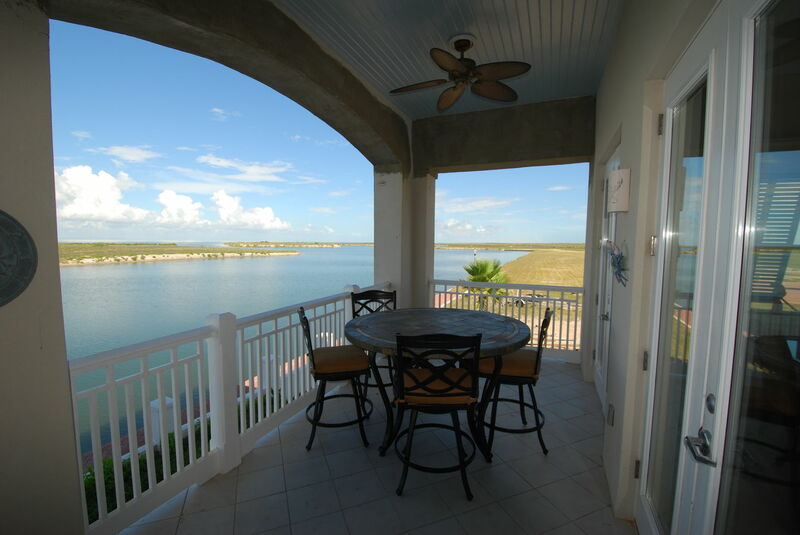 Marina Vista Villas offer an incredible look out tower that is great for taking in views or just reading a book. 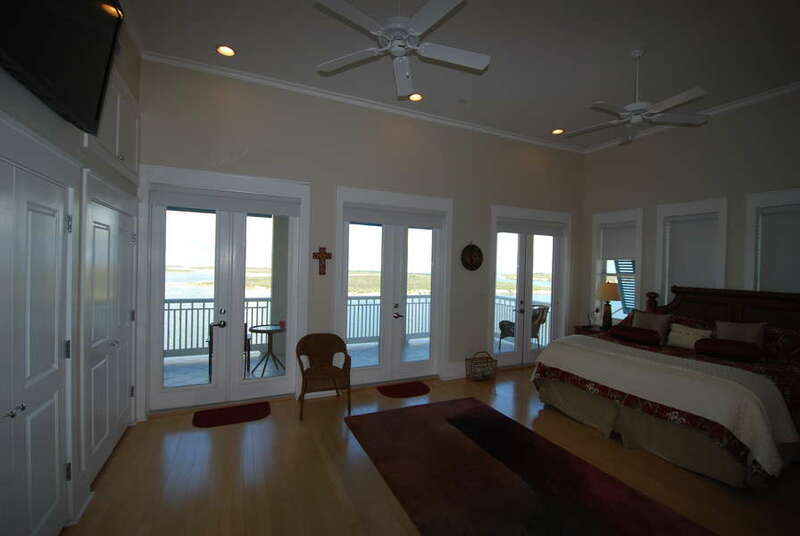 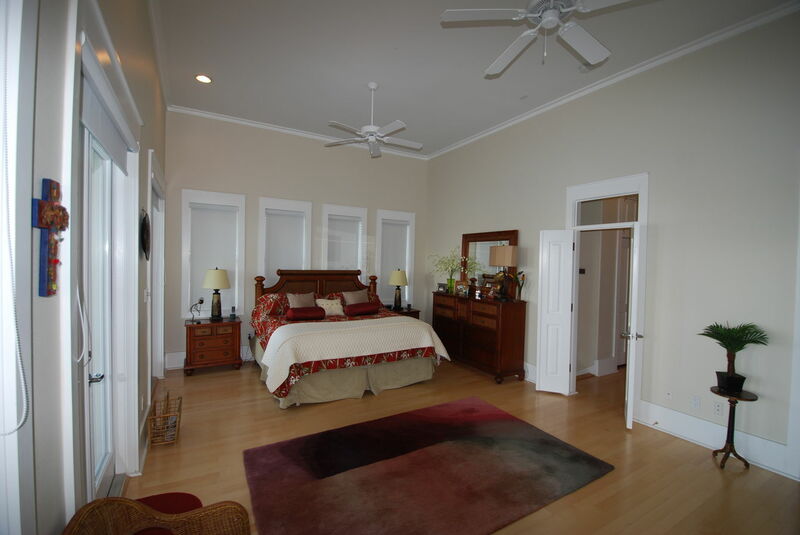 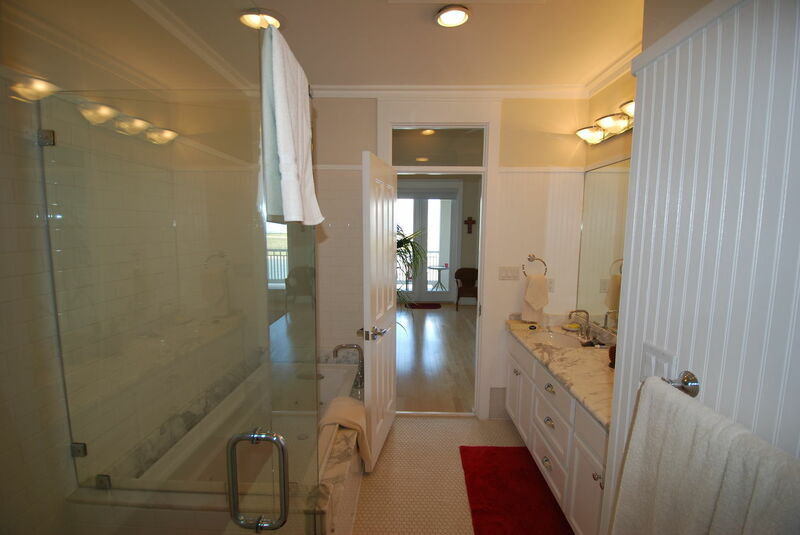 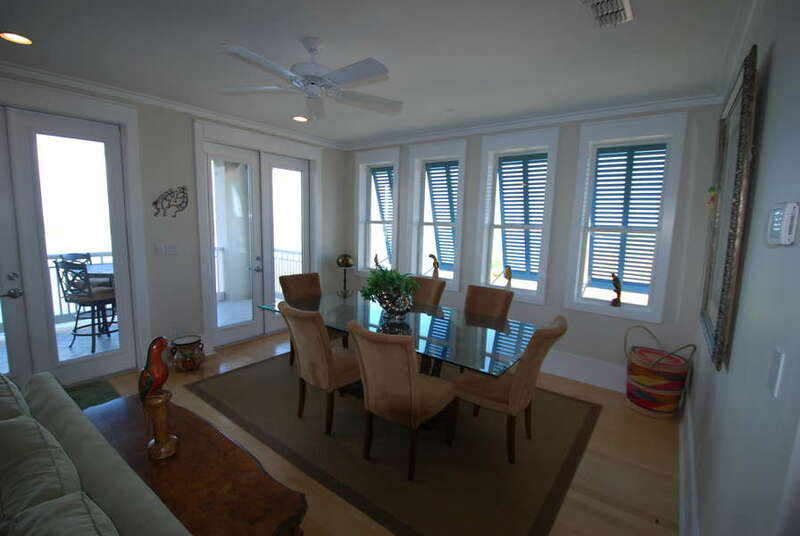 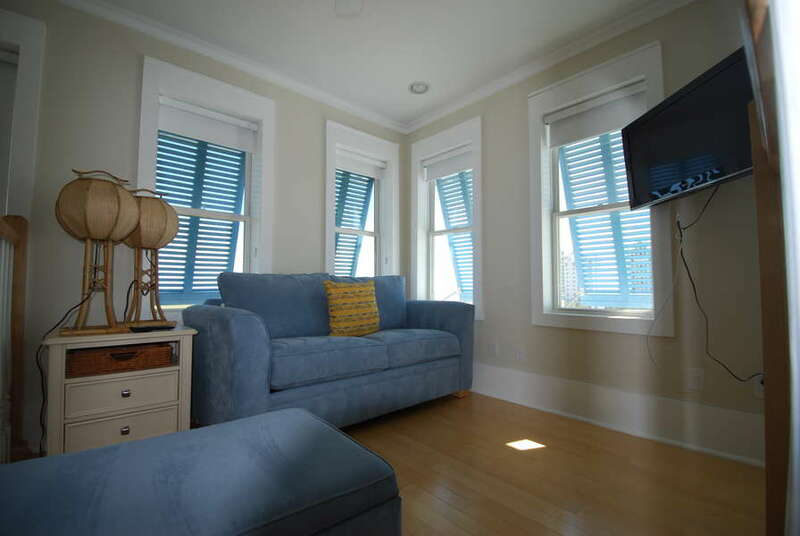 Each has the most beautiful panoramic views of the bay and ocean from all four floors, inside and out. 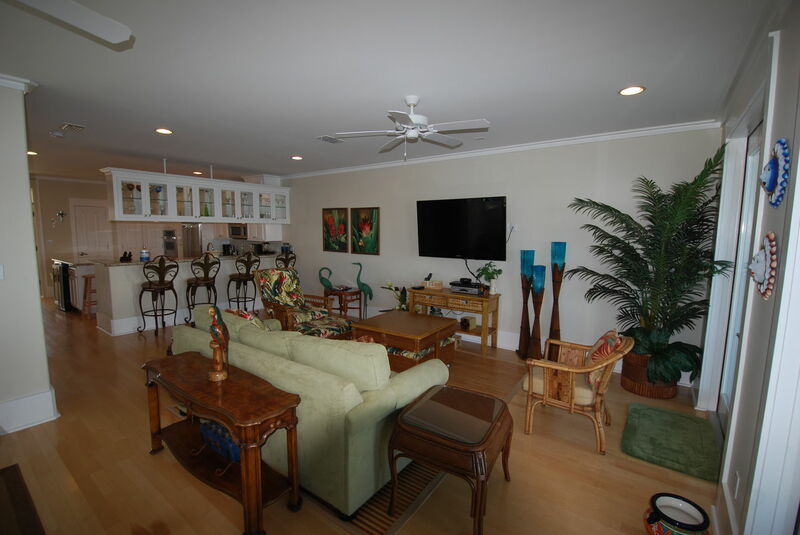 A covered recreation room on the ground floor, custom woodwork, wood floors throughout with tile floors in the bathrooms, granite countertops throughout the villas. 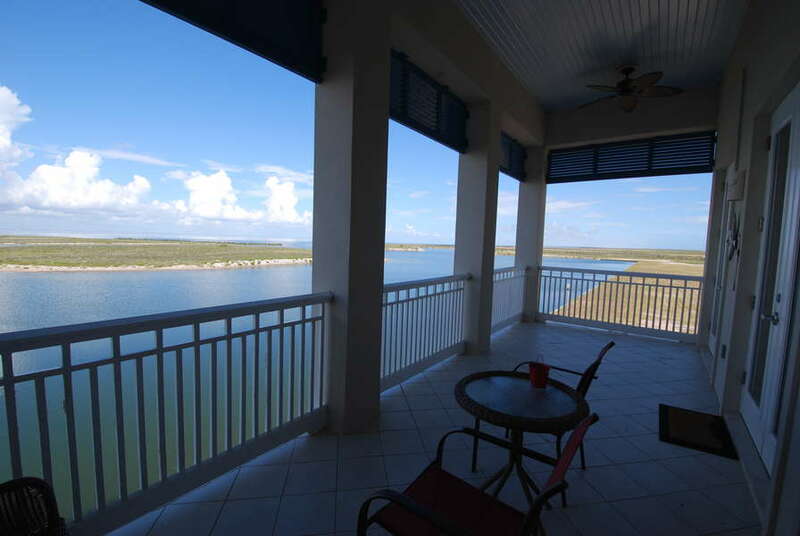 This is the only beach to bay community on the island, so you have the best of both worlds. 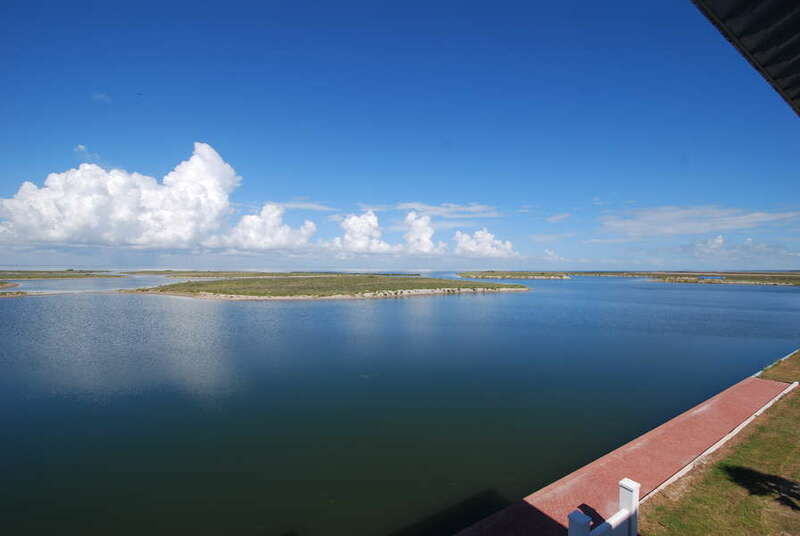 Being the most northern development in this region we have views of virgin flora, and we are located close to the new birding center, turtle rescue center, and state park. 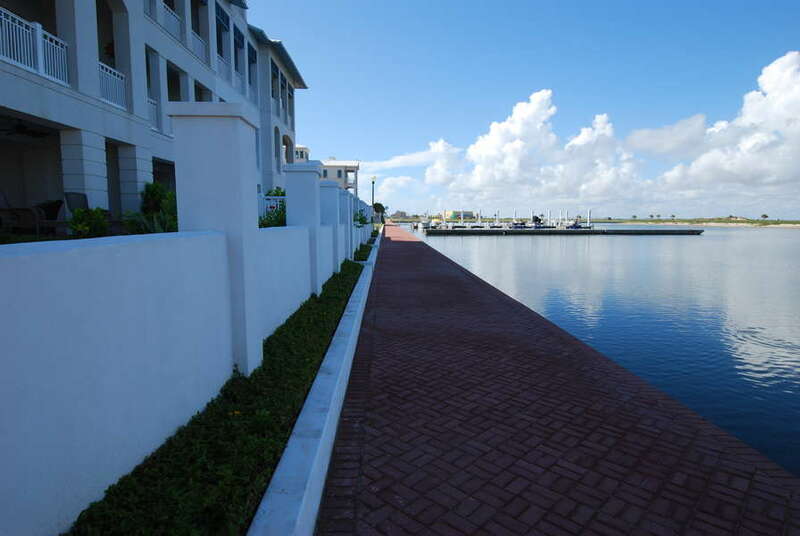 Again, this exclusive gated community offers a sense of peace and tranquility that you can't be found anywhere on the island. 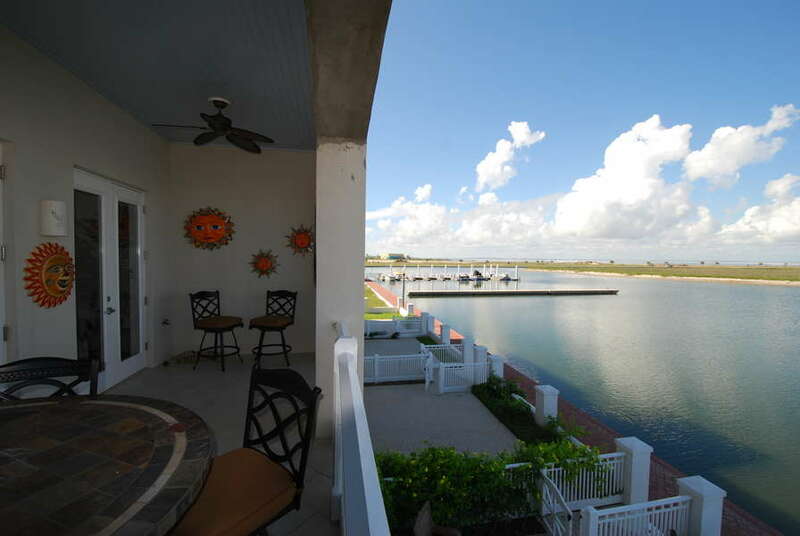 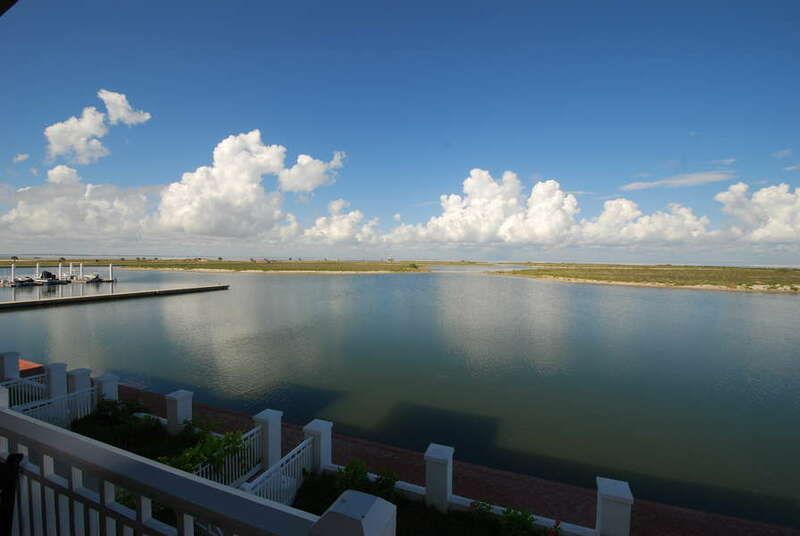 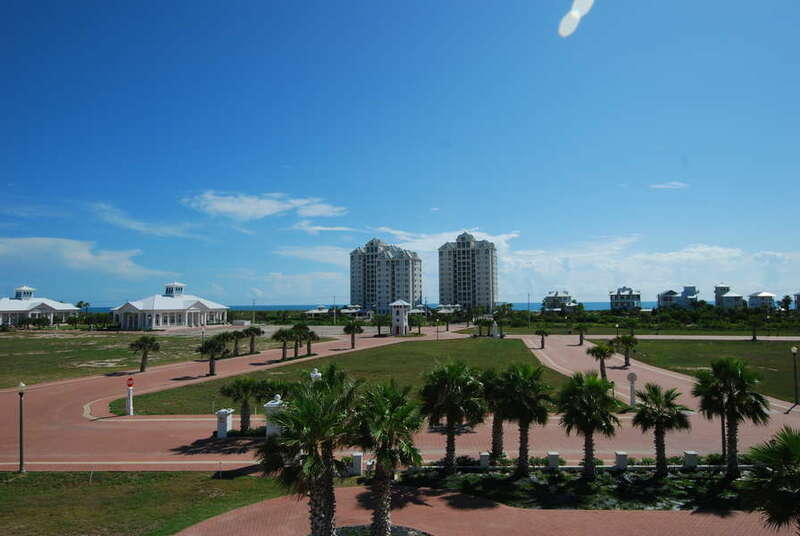 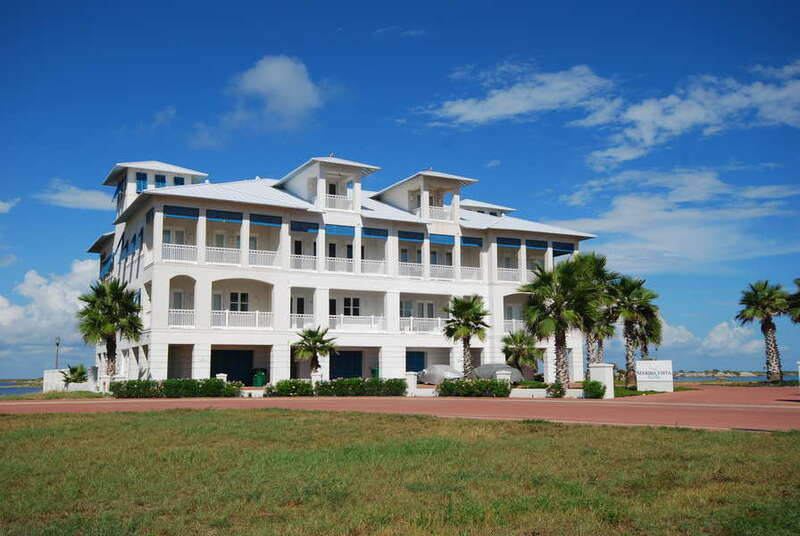 Yet in a five minute drive you can be in the heart of South Padre Island. 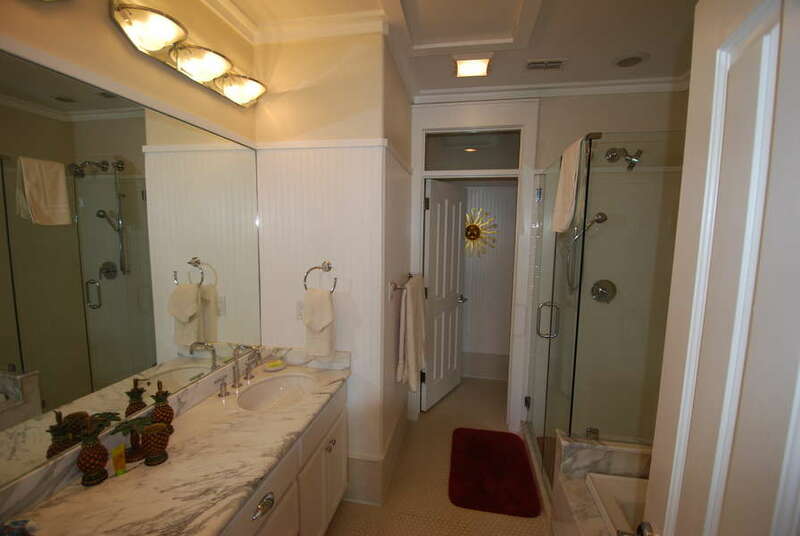 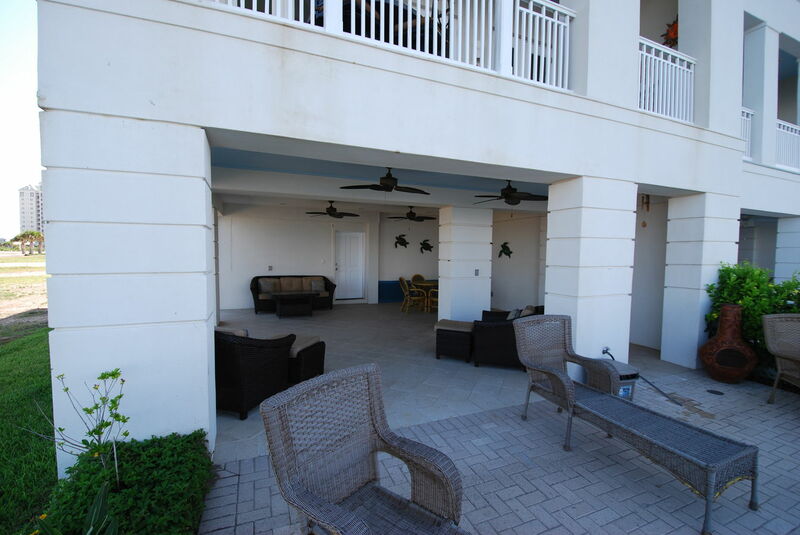 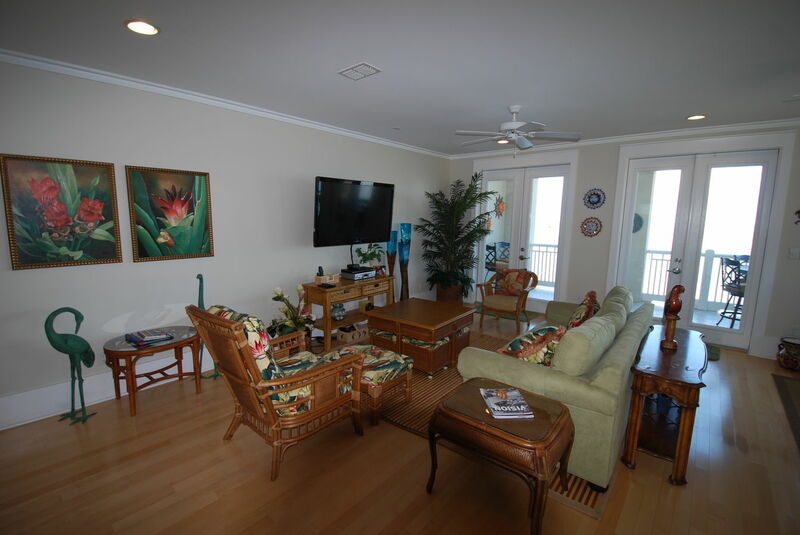 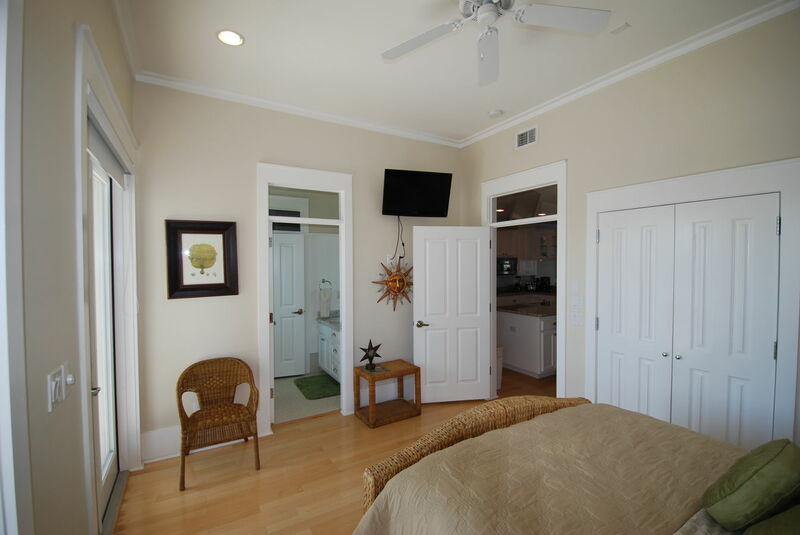 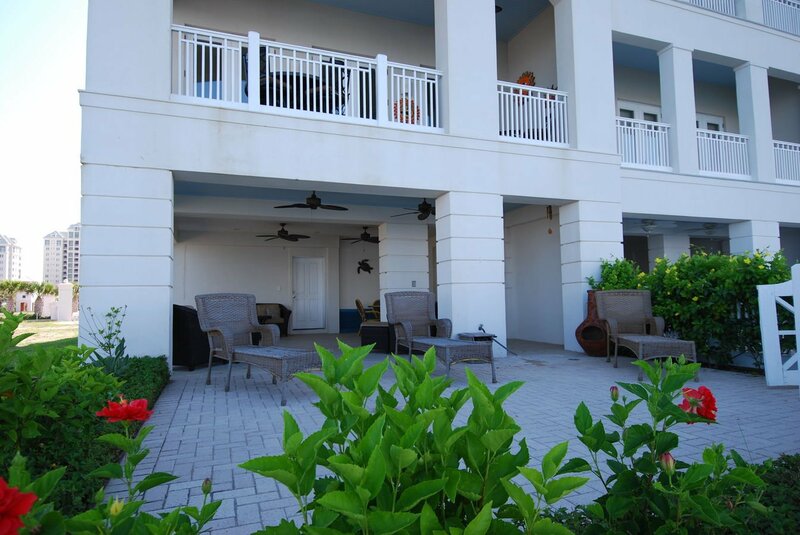 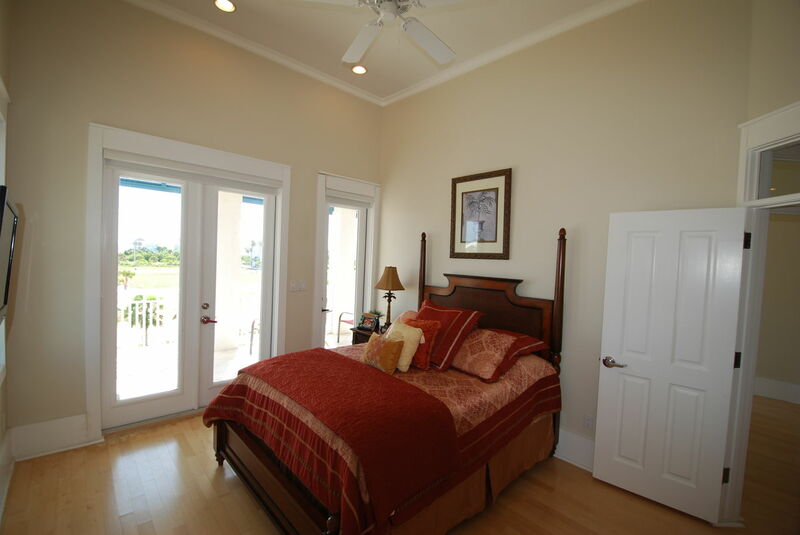 A relaxed Tommy Bahama style villa located on the north corner of the Marina Vista Villas. 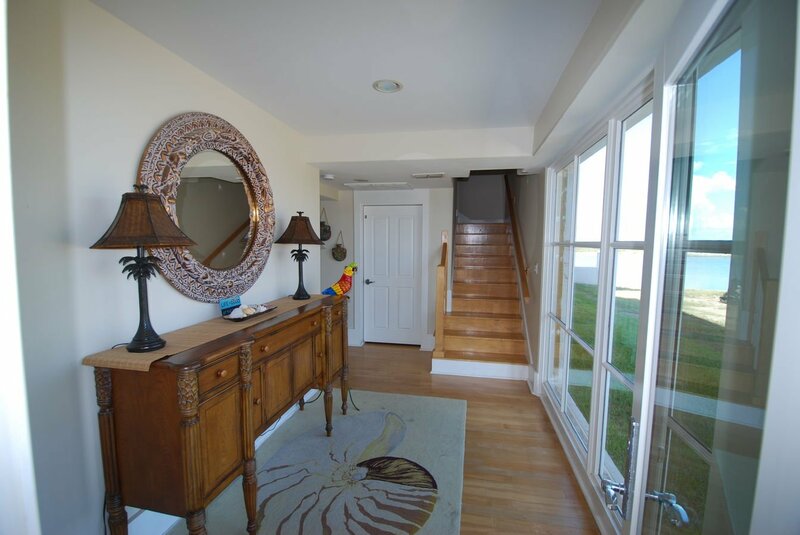 This 4 bedroom 5.5 bathroom townhouse will accommodate up to 10 persons with over 3000 square feet of air conditioned area. Accommodations include: a king size bed in the master suite, one full bed in the second bedroom, 2 twins in the third bedroom, a queen size bed in the mini master bedroom, and a twin bed in the lookout tower.